Once you have formed your critique group and settled on the mechanics of how it will run you will have think about how the critiquing process should unfold. 1) Be kind. Giving your writing to others to read is difficult and uncomfortable, especially for newer writers. No one is served by mean or thoughtless comments. I remember once writing a piece that was fairly autobiographical and being told by a classmate that “all of these people are idiots.” He had no idea that his comment referred to people that I loved. It took me quite a while to get over that remark. 2) Be honest. The point of joining a critique group is to improve and to see the faults in our writing that we are blind to. The whole exercise is pointless if you are unwilling to provide or receive constructive criticism. 3) Assume all work is fictional unless the writer informs you otherwise. This is the counterpoint to number one. Often we make up difficult situations in our work, such as a promiscuous character who is cheating on her husband. No one wants to be accused or suspected of carrying on transgressions in real life based on something written in a story. For the emotional well-being of everyone in the group it is important to respect the boundary between fiction and reality, even though we often draw story ingredients from both sides of that imaginary fence. 4) Respect confidentiality. What happens in writing group stays in writing group. 5) Plan to read the material several times. The first reading should be done without a lot of intellectual analysis. Instead, notice your general impressions and what you feel in your body. Are you captivated, intrigued, bored, or curious? Is there anything confusing that trips you up or jettisons you from the story? If you notice that happening, just put a mark beside that portion of the text and continue on reading. 7) Remember that it is just as important to identify the strengths in the writing as it is to find the weaknesses. You don’t want to see the writer abandon the good sections. 8) Consider a “no excuses” policy. Very often when we sit down together we are tempted to explain and apologize, for example, “I’m sorry that this piece isn’t very good. I got called to look after my sick mother-in-law and I did the writing in Emerg.” Pat Schneider refers to this practice as “apron wringing.” This process takes time away from the actual work of critiquing and serves no real purpose. Most of us would benefit from less focus on why we don’t write and more on the words that make it to the page (as much as we all love to whine about our resistance). 9) Respect intellectual property and don’t steal ideas from one another. For more ideas about what can happen when this rule is not respected try reading Andrew Pyper’s wonderful novel, The Killing Circle (lol). 10) The writer who is being critiqued should remain silent during the feedback and take notes. This counters the tendency to waste time on explaining and justifying rather than listening and learning. 12) Provide written notes (either on the manuscript or on a separate sheet). Don’t bother with little nitpicky things like spelling errors (you can circle them but there is no need to expound on them). Focus on important issues like character or plot rather than grammar (unless the purpose of the critique is copy-editing). 13) Don’t say what the story reminds you of in terms of film or literature. Try to see it for its own merits, and for its unique attributes. What is it about? What is it trying to do? How does it fulfill its potential? How could it do those things better? 14) Remember that an atmosphere of mutual respect and trust is absolutely essential. 15) Remember that critique is a blunt instrument. Often as a writer you will receive many mixed-messages and contradictory pieces of advice. The important thing is to notice patterns rather than specifics. If one person tells you a scene is not working, take it with a grain of salt. If four people make similar remarks you probably need to rewrite that scene. Above all, respect your own truth and your own instincts. You should always feel free to ignore advice if your heart tells you that it is the right thing to do. Barnett Newman said, “Art criticism is to the artist as ornithology is to the birds.” Criticism has its uses, but you should never let it get in your way. Stay tuned. In two weeks I’ll provide more tips on what to critique. In the meantime, happy writing. Photo credits: the frog photo is by Janis McCallen, all other photos are the property of Barb Cooper (used with permission). Hodgins, Jack. 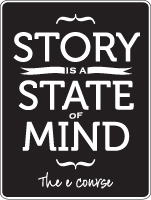 A Passion for Narrative: A Guide for Writing Fiction. Toronto: McClelland & Stewart Ltd., 1993. Le Guin, Ursula K. Steering the Craft. Portland, Oregon: The Eighth Mountain Press, 1998. Schneider, Pat. Writing Alone and with Others. Toronto: Oxford University Press, 2003.